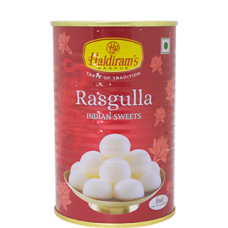 Classic Indian Rasgulla made from ball shaped dumplings of chhena, cooked in light syrup made of sugar. Ｉts very white color and very sweet taste with sugar syrap. It has been used in india in all festivals and parties as a one of the most famous sweet dish.